The seat in Section 121 is the first POW/MIA chair of honor in Illinois. CHICAGO (WLS) -- Soldier Field now has a new seat that no fan will ever sit in. 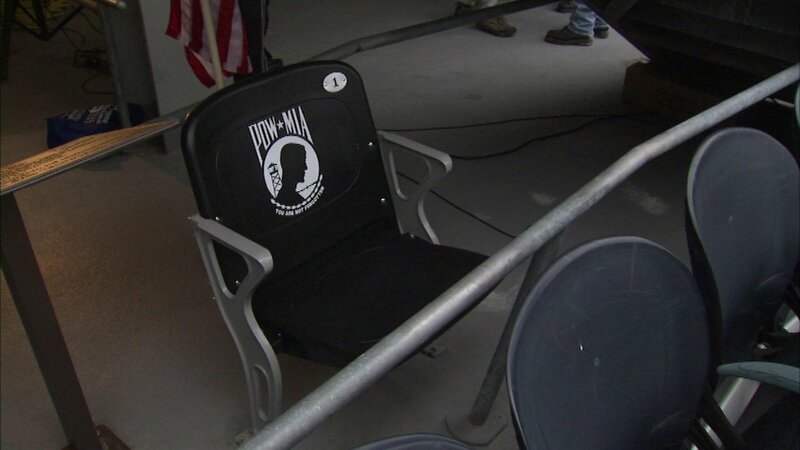 The seat in Section 121 is the first POW/MIA chair of honor in Illinois. It's dedicated to the more than 91,000 military service members held prisoner or lost in action. "The chair that is being dedicated today will be a constant reminder as people walk by it they will have to remember they will be reminded of the sacrifice and the service of our service members throughout the ages," said Erica Jeffries, director, Illinois Department of Veterans' Affairs. The veterans group Rolling Thunder partnered with the Hussey Seating Company to pay for this special seat.